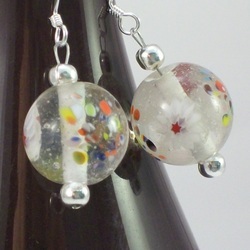 Pretty earrings handmade using a clear millefiori bead which has white flowers and coloured specks inside. 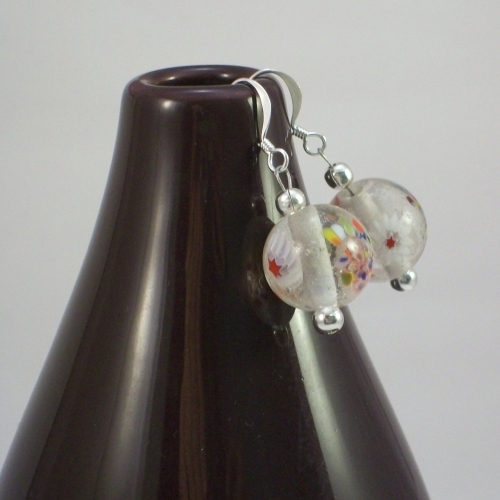 Finished with silver plated bead covers and hung from a hook earring wire. 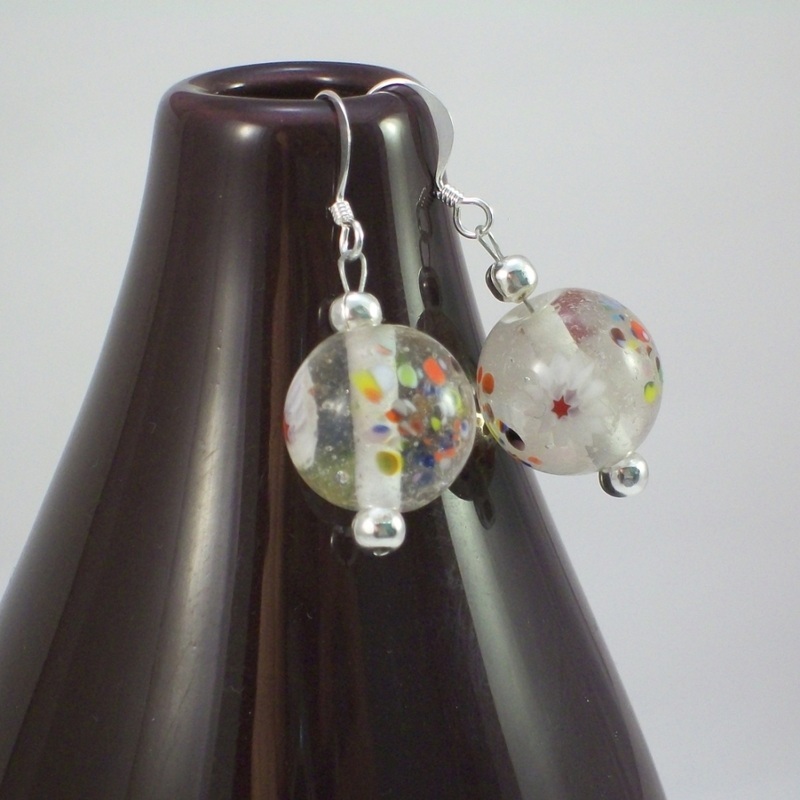 Earrings are 4cm drop. 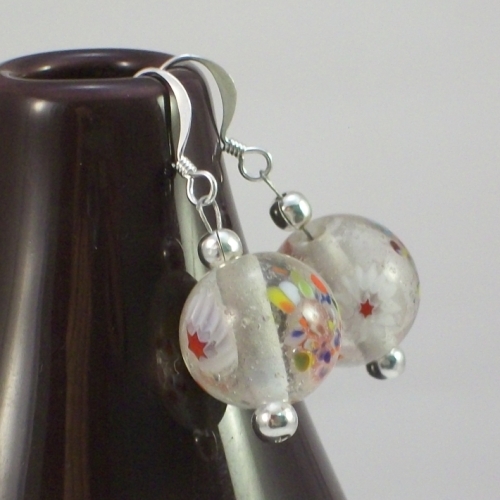 Earrings are silver plated and nickel free.